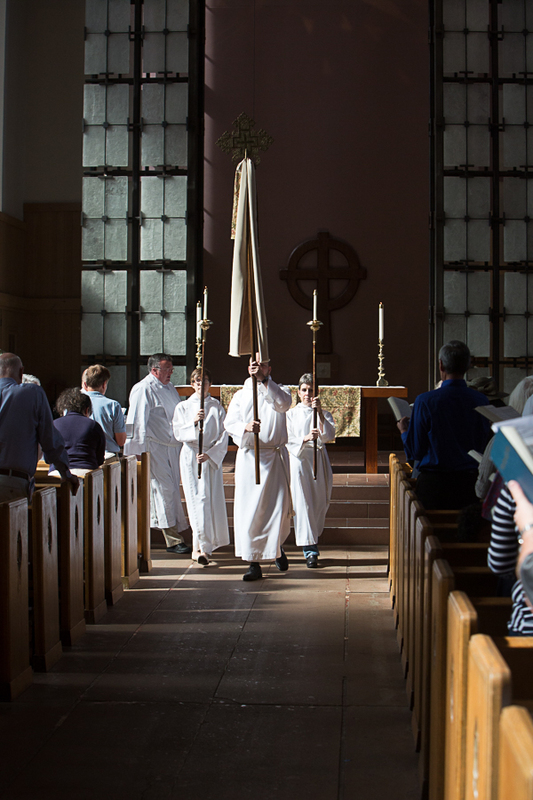 Photos, field notes, and sound from liturgy in congregations across the Episcopal Church. Seventeen congregations across the continental U.S.have been visited: urban, rural, and suburban; English-speaking and Spanish-speaking; Anglo-Catholic, broad church, and evangelical. Some were chosen because of their reputations for excellent liturgy, some on the basis of recommendations by bishops and liturgical scholars, and others because they were representative of some aspect of the church's life. Descriptions make reference to categories of congregation size; information about those categories and the implications of size can be found in a document here, from the Episcopal Diocese of Texas (opens in a new window; click and download "One Size Does Not Fit All"). Data on the demographic and socio-economic contexts of each parish are drawn from the profiles available from the Episcopal Church's Office of Research and Statistics (https://www.episcopalchurch.org/posts/research/study-your-congregation-and-community), except where indicted. Comparative data on national per capita income is drawn from the US Census Bureau's CPS Historical Income Tables (https://census.gov/topics/income-poverty/income/data/tables/cps.html, accessed 1/5/2018). St. Mark's is the cathedral church of the diocese of Olympia. It offers five Sunday liturgies, in a variety of styles. Learn more here, and click the image above or here for a gallery. St. Columba's is a pastoral-sized parish in a small town in coastal Maine. It offers one Sunday liturgy, in a flexible liturgical space. Learn more here, and click the image above or here for a gallery. St. Gregory of Nyssa is known around the Episcopal Church for its innovative liturgy, its breathtaking worship space, and its food pantry. Learn more here. For a gallery of images from the Sunday liturgy, click the image above or here. For a gallery of the food pantry, click here. St. Gabriel's is a bilingual church plant in the fastest-growing county in Virginia. 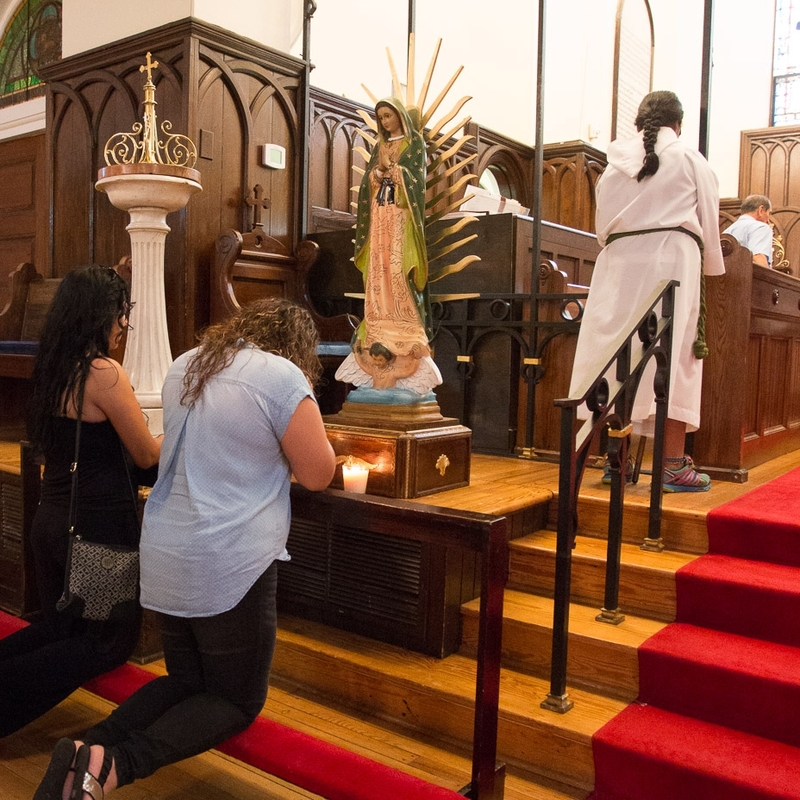 It worships in English on Sunday mornings at a local middle school, and in Spanish in the afternoon in borrowed space at another Episcopal parish. Learn more here, and click the image or here above for a gallery. Christ Church is a historic Anglo-Catholic parish offering the daily office, daily mass, and three eucharists each Sunday, the highlight of which is solemn high mass. Learn more here, and click the image above or here for a gallery of Sunday morning worship. One of Christ Church's most distinctive offerings is sung Compline, a medieval monastic office. This seemingly anachronistic liturgy draws a large number of undergraduates from adjacent Yale University. Learn more here, and click the image above or here for a gallery. St. Peter's is a transitional-sized church in Rome, Georgia. 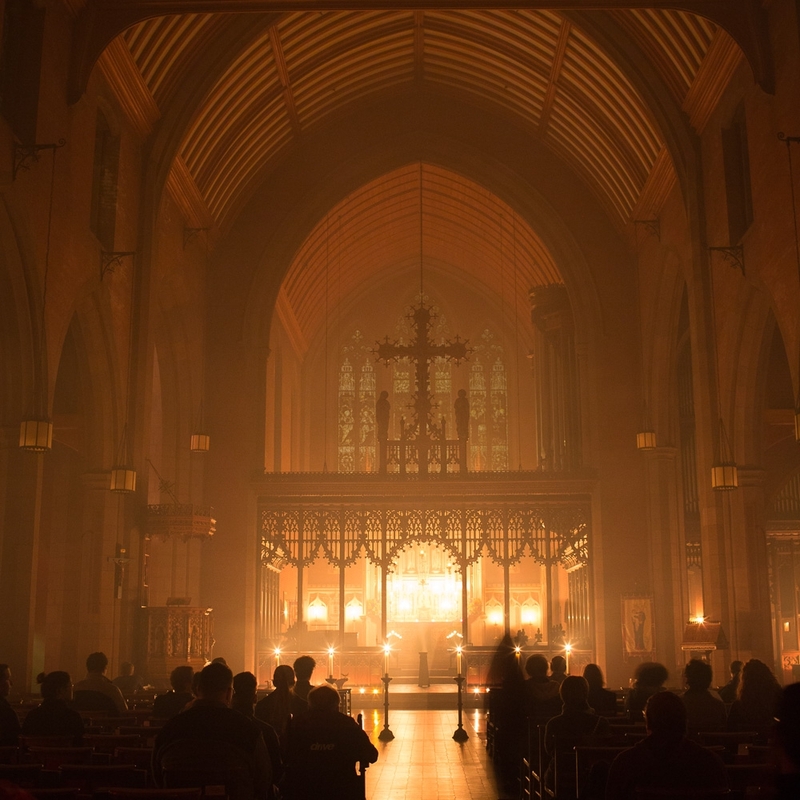 It offers an early morning, spoken archaic-language liturgy, and a later morning contemporary-language liturgy with music. Learn more here, and click the image above or here for a gallery. St. Stephen's is a resource-sized parish in the West End of Richmond. In addition to traditional liturgies in the morning, it offers innovative liturgies and a community dinner in the evening. Learn more here [coming soon], and click the image above or here for a gallery. St. Paul's is a large, historically African-American parish in Atlanta. It offers multiple worship services each Sunday, with the liturgical style varying from week to week. Learn more here [coming soon], and click the image above or here for a gallery. St. Paul and the Redeemer is a parish in the Hyde Park section of Chicago. Its building was extensively renovated in 2002. Learn more here, and click the image above or here for a gallery. St. Andrew's is a program-sized church on the south side of Kansas City. 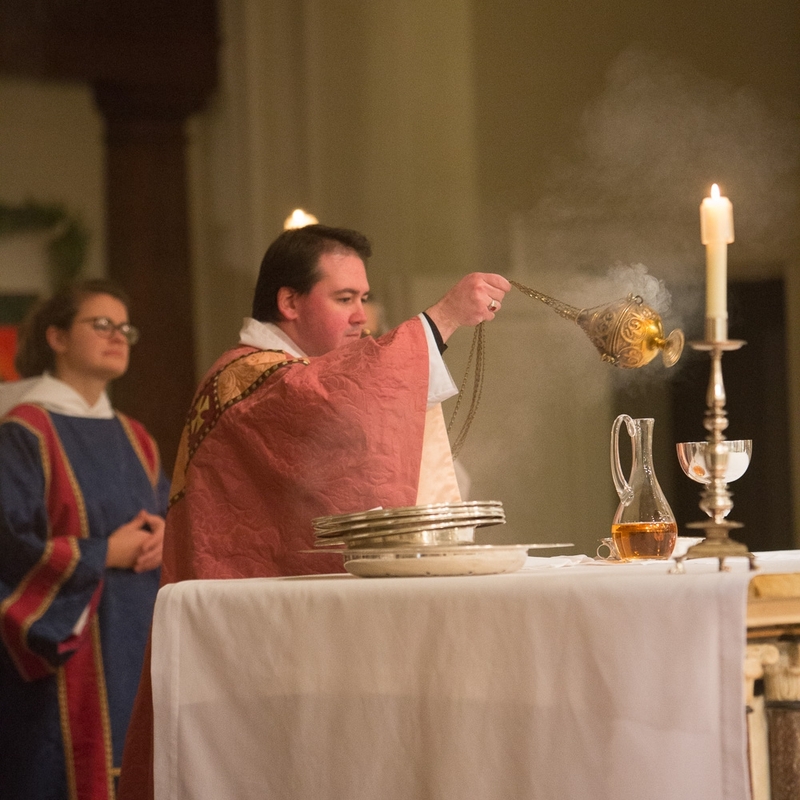 It offers three liturgies on Sundays, including an innovative evening service. Learn more here, and click the image above or here for a gallery. St. Paul's is a program-sized parish in the Diocese of East Tennessee. It observed the Sunday after All Saints' Day with a baptism at the principal liturgy. Learn more here, and click the image above or here for a gallery. St. Luke in the Fields is a vibrant, Anglo-Catholic parish in New York City's Greenwich Village, with a strong history of outreach in the community. Learn more here, and click the image above or here for a gallery. Holy Cross is a transitional-sized parish in rural western North Carolina. In addition to the main church building, adjacent to a diocesan retreat center, it has a historic summer chapel a few miles away. Learn more here, and click the image above or here for a gallery. The choir at All Saints' Chapel at the University of the South offers evensong monthly. Learn more here [coming soon], and click the image above or here for a gallery. St. Paul's is a large parish in a prosperous area of Cleveland. Traditionally "low-church," now broadening its worship, it has a strong music program. Learn more here [coming soon], and click the image above or here for a gallery. St. John's is a program-sized parish on the prosperous south side of Charlotte, North Carolina. It offers a range of liturgies, from a traditional-language eucharist to a contemporary service featuring a praise band. Learn more here [coming soon], and click the image above or here for a gallery. The Festival of Lessons and Carols originated at Truro Cathedral and was popularized by King's College, Cambridge. Over the years, many university chapels and some parish churches have appropriated this liturgical form. Learn more here [coming soon] and click the image above or here for a gallery. Trinity Church is a mid-sized parish in a mid-sized city in Middle Tennessee. It offers two Sunday services and sits in the "broad church" tradition. Learn more here [coming soon], and click the image above or here for a gallery. The African Episcopal Church of St. Thomas was founded in 1792 by the Reverend Absalom Jones, the first African-American priest in the Episcopal Church. Its liturgy is “traditional Anglican/Episcopal high church… enriched with an evangelical Afrocentric focus.” Learn more here [coming soon], and click the image above or here for a gallery. The chaplaincy at the University of the South offers a full round of Holy Week liturgies, drawing a large number of students, faculty, staff, and community members. Learn more here [coming soon], and click the image above or here for a gallery.